You do your best and let your teacher do the rest!! At Ard Rí Community National School our teachers work using the most up-to-date and innovative teaching practices in order to provide high quality teaching and learning and ultimately- ‘Excellence in Education’ (Cornerstone of Community National School ethos). This year we are delighted to announce Karen Dunne will be returning as a permanent member of staff. We also welcome Cailín Ní Dhonncha to the team. Niamh Donnachie taught at the school on a part-time basis last year and we are delighted Niamh will be teaching with us full-time this year. The new teachers have been very busy preparing for the year ahead and are looking forward to meeting everyone and getting stuck-in to the busy school life at Ard Rí! My name is Múinteoir Karen. I will be teaching Fourth Class this year. I am very much looking forward to working with my new class. A lot of you will know me already from last year when I was teaching Senior Infants at Ard Rí. 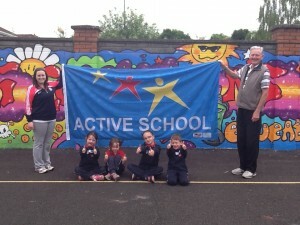 I coached Kickhams and I was involved in Soccer, Football and Athletics training last year also. I have been very busy preparing for teaching you this year. We will have lots of fun, be active and learn new things every day. Is mise Múinteoir Cailín. I am very excited to be teaching the boys and girls in Second and Third Class this year. I have not taught at Ard Rí before. I am really looking forward to getting to know my new class and all the children in the school. The teachers have been telling me lots of great things about life at Ard Rí. Every day we will learn something new. Hi everyone. I am Múinteoir Niamh. I am thrilled to be teaching the children in Second Class this year. I got to know the school when I was working part-time here last year. My best memory was celebrating Holi with the community and I will be working hard to ensure the children in my class create more great memories this year.